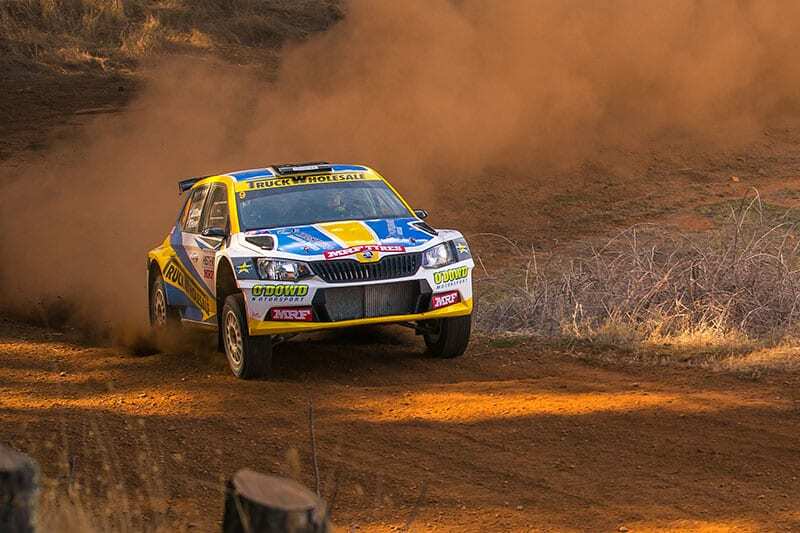 The switch to the Skoda Fabia R5 has paid off for John O’Dowd at the opening round of the 2019 Australian Rally Championship, the ‘Make Smoking History’ Forest Rally. Contesting both the national and state championships, O’Dowd was first among the WARC competitors, and equal 5th in the ARC. Contested through the state forests near the township of Nannup in the south-west of Western Australia, O’Dowd banked increasingly competitive times as he adjusted to the new Skoda. “I’m really happy with the way the weekend has gone”, a smiling O’Dowd said at the end of Sunday’s stages. “The plan was to get to know this car, keep it straight and bank the best times we could. And we did that. Saturdays stages, we were held up a little but by the dust, but that was the case for everyone. Although O’Dowd completed Saturday’s stages in 6th outright, Sunday was the longer of the two days, allowing him to climb up the leaderboard to compete Heat 2 in fourth outright in ARC, and first in WARC. Although the Skoda R5 was new, one thing that was familiar were the forest roads that formed the competitive stages of the event. Organisers had planned to introduce new stages for 2019, however recent bushfires forced a late change of route, with the event taking in roads used in previous years. O’Dowd’s next event is Trade Hire Karri Rally on May 11. That means he will miss the Canberra round of the Australian Rally Championship, but he has announced he will commit to the rest of the ARC events for 2019. “Obviously I’m disappointed to not be able to compete in Canberra. I’ve competed there a couple of times now, and it’s always a challenging event. But I’ve now decided to contest the rest of the ARC season. “It will be great to go back to Karri for the state championship. I won it last year and I’d like to repeat that. Funnily enough Tom (Wilde) was my co-driver for that event last year.